The studio cited by Paolo Patelli, an artist born in Istria, Professor of painting in America and in Great Britain as well as the Accademia di Belle Arti in Venice, who has also taught Contemporary Art at the University of Ca’ Foscari, is located at the Filanda Motta, and is one of the spaces that will be open on Sunday, March 20th. One of the studio spaces will exhibit the ceramic art, installations and drawings of Claudia Steiner, a Viennese artist who has lived in Italy for twenty years and shown her work throughout Europe. Also featured will be works by Viennese freelance photographer Robert Marksteiner, who specializes in still-life photography. This is why – well aware that any approach to art carries with it a vivid interest in understanding its rhythms, its creative mechanisms, its underlying efforts and ultimate achievements, and in the spirit I share with Paolo and Claudia – I was especially happy to accept their invitation to open my studio as well, and to host Viennese designer Christiane Marksteiner with her summer collection of bags by mizzis. 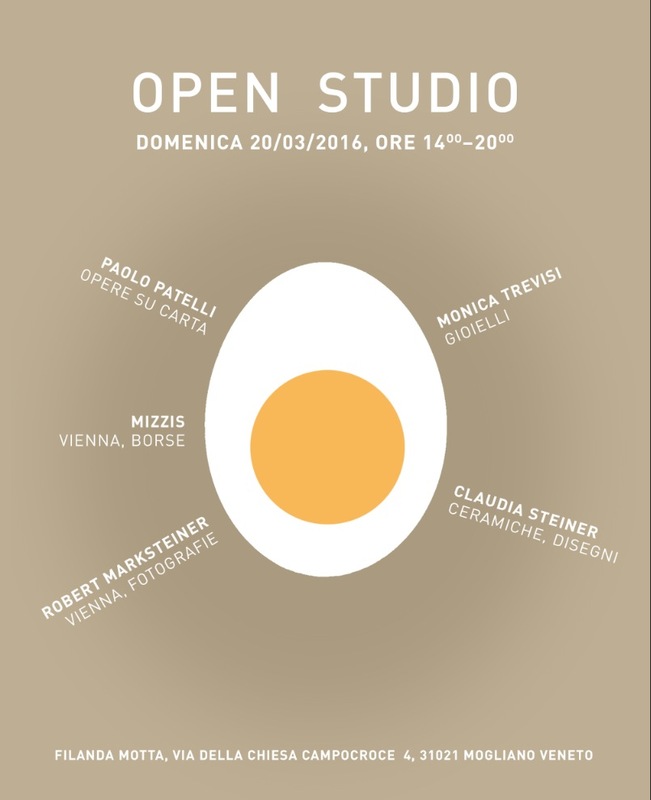 Sunday from 2 pm to 8 pm, our studios are open to anyone who wishes to explore the beauty of the Filanda Motta.